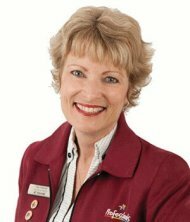 "Bibleworld puts biblical times into context," says Sarah Nightingale, of this non-profit Rotorua museum and discovery centre, co-directed with husband Ross. After first coming up with the idea, it took seven years of painstaking research followed by another five years to set up the museum which opened in April 2010, one of the few located in the southern hemisphere and the only one of its kind in New Zealand (Free entry). 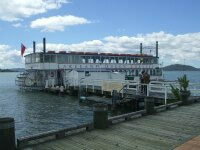 Living in a young country, such as New Zealand, it's often difficult for us to comprehend how old some places are. There's no context. Unless we travel. When we physically stand on 2,000 year old roads that Roman soldiers once marched on, or walk inside Egyptian pyramids and run our hands over the rock walls, or sift through sands where artefacts thousands of years old can be found? Then we GET context - in a visceral sense. That's what makes the Bibleworld Museum & Discovery Centre such a fascinating place to visit. It allows not only those of religious persuasions but also families, history buffs, educationalists, even non-english speakers, to gain this context in a fun, interactive way - without having to travel. Prepare to spend 1 - 2 hours for adults and 45mins to an hour if you have children. From the hand crafted scale models to ancient artefacts and replicas, hands on activities and the gift shop, expect to be amazed at the level of detail. The museum features a range of lovingly hand crafted scale models complete with detailed people, plants and animals. 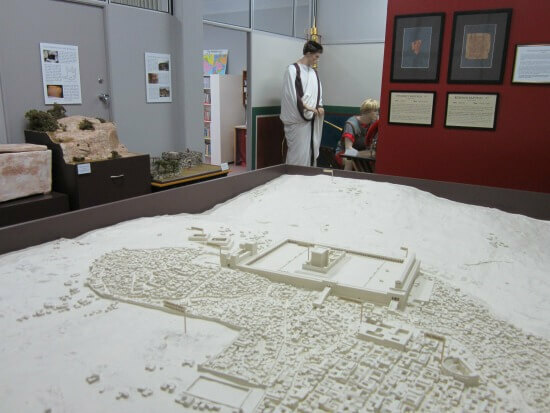 Check out the model showing an ancient walled city under siege and see the range of military tactics employed during a siege. Follow that up by exploring the model showing the tomb of Caiaphas, the High Priest no less, and learn about New Testament era burial practices. Much like the constant evolution of modern cities, the city of Jerusalem changed over time too. This is evidenced by comparing the models showing Jerusalem as it was at the time of Solomon and again at the time of Jesus. 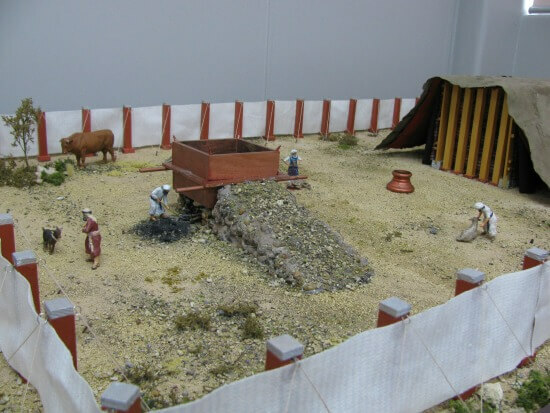 A large model of tent dwelling life gives us an insight into how Abraham and other nomads lived 4000 years ago (visitors young and old can enjoy the challenge of trying to locate over 15 different species of animals on the model). 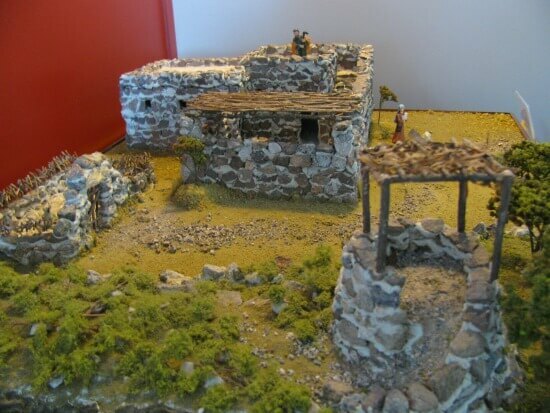 Other models show the Tabernacle built at the time of Moses, the impressive Temple in Jerusalem that Jesus would have visited and a simple village house. Genuine artefacts at the museum, dating in age from 2000 - 5000 years old, include a range of clay oil lamps used to provide light in ancient times, an authentic brick from ancient Babylon stamped with Nebuchadnezzar’s inscription and a range of weapons, used during the time of the Kings of Israel and Judah. The New Testament cabinet displays everyday items used at the time of Jesus, including a bronze needle, dice, fish hooks and mirror. Visitors of all ages will enjoy Bibleworld's 'hands-on' room. 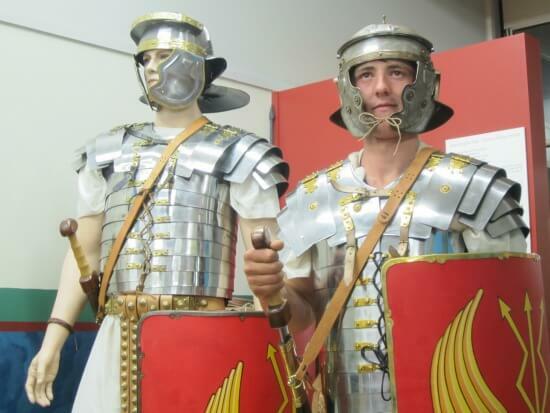 Dress up in a full set of Roman replica armour (not for little ones as the armour is heavy) and have someone take your photo. 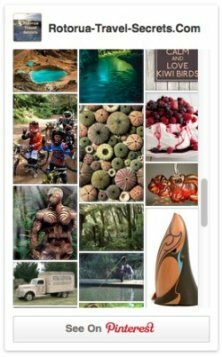 Try out a range of quizzes, play a game like the Predynastic Senet (Passing game) or, test your musicianship by having a go at blowing a ram's horn shofar and plucking out a tune on a replica ten string lyre. How does trying your hand at writing your name in ancient scripts sound? All you have to do is take along your sheet of papyrus. Joking! The antics of the live locusts are another entertaining feature. Makes it hard to imagine the immense damage caused when they decide to swarm. Random fact. 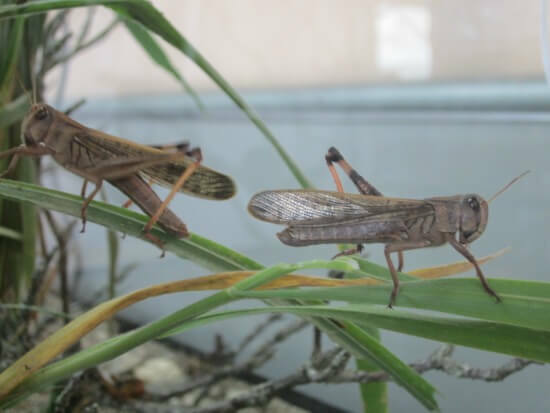 Did you know that locusts can jump 70cm (2.3ft) - equivalent to us jumping 18m (60ft)? You may know that fragrances popular in ancient times included frankincense and myrrh but did you know that the fragrance was distilled from a plant resin (called tears)? Yes, No? Either way, you can see the resin and take a deep whiff of the heady oils. It's easy to see why they were so popular. In addition to the artefacts, Bibleworld also displays a range of replica items relating to the Bible account. 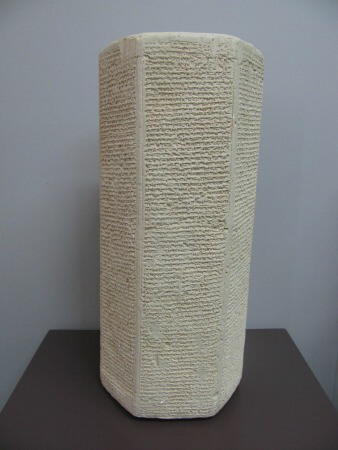 These include a replica of the Cyrus Cylinder, Sennacherib’s prism and the Gilgamesh epic (an early flood account). Another exhibit shows the influence of the Roman world and features a full size re-creation of a Centurions barracks complete with a Roman Centurion, Soldier and a Governor dressed in a toga. Craftspeople will be able to see a display of wool, dyed using traditional products used in ancient times. This display also contains small samples of Phoenician purple wool, dyed using extract from the rare Murex sea snail. Bibleworld also contains a small gift shop (no eft-pos facilities - ATMs are handy) where you will find an assortment of items. Olive wood products, educational games from the Holy Land, Dead Sea soaps and hand creams along with Frankincense, Myrrh and anointing oils. The construction kits would make great gifts for children and who wouldn't want a replica lamp, shofar or papyrus as a keepsake? (Or, by arrangement.) Closed Good Friday, Easter Monday and Christmas Day. School Holidays: Bibleworld opens for extra days during school holidays so make sure to check the website or phone in. Street parking can be hard to find during busy periods. An alternative would be to park further away on the outskirts of the central business area. 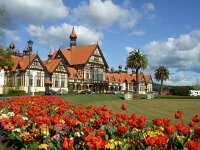 No doubt about it, this small Rotorua museum is a fascinating place to visit. It has the additional bonus of Free Entry for everyone, including locals and tourists. 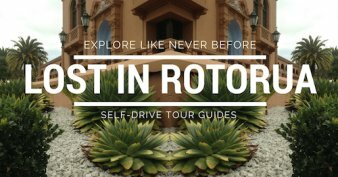 That makes it a great option when you're deciding what to include out of the many things to do in Rotorua. Especially if you have a family and the budget is blowing out. It tends to do that here. Sigh! To finish, thank you to Ross and Sarah for providing the photos and much of the detail mentioned in this article. Their contribution to visitors is truly noteworthy.